Dr. Adrian Forsyth is the Executive Director and Founder of Andes Amazon Fund. His field work and conservation efforts have taken place in the most remote regions of the New World and Old World tropics for the past 45 years. Adrian co-founded the Andes-Amazon Initiative at the Gordon and Betty Moore Foundation, the Amazon Conservation Association, and Osa Conservation. He has served as Vice President of blue moon fund, Director of Biodiversity at the Gordon and Betty Moore Foundation, and Vice President of Conservation International. He has also worked as a Research Associate at the Smithsonian Institution and the Royal Ontario Museum and has been a faculty member at Arizona State University in the Department of Zoology. Adrian is the author of nine acclaimed natural history books and has developed five biological field stations in the Amazon and in Central America. Adrian currently serves as President of the Board of the Amazon Conservation Association and is Board Chairman of Osa Conservation. He received his PhD in Tropical Ecology from Harvard University under E.O. Wilson, a renowned biologist. Enrique Ortiz was born and raised in Lima, Peru. He has been trained as a tropical ecologist, conducting research on species and ecological systems in coastal areas, deserts, highlands, and tropical forests. Enrique co-founded the Andes-Amazon Initiative at the Gordon and Betty Moore Foundation and the Amazon Conservation Association. Enrique is also known for his leadership throughout Peru and Latin America in biodiversity and ecosystem conservation. For over a decade, he has been committed to funding agencies that support conservation in the Andes-Amazon region. Enrique worked for the Tropical Americas Program at the blue moon fund, serving as Senior Program Officer and Program Director. There, he worked alongside former U.S. Secretary of the Interior Bruce Babbitt and Adrian Forsyth to support domestic and international Amazon conservation groups. He currently serves as a board member of the Amazon Conservation Association and President of the Association for the Conservation of the Amazon Basin (ACCA), a leading Peruvian NGO. Enrique also served as a board member of the National Protected Area Service (SERNANP), a division of the Peruvian Ministry of Environment, for 9 years. He received degrees from San Marcos University and Princeton University. Megan MacDowell has worked on forest conservation in Latin America for over 14 years. She mostly recently led the Amazon Headwaters Conservation Initiative at the New Venture Fund. She previously served as the DC Office Director at the Amazon Conservation Association. There, she focused on biodiversity conservation and sustainable livelihood initiatives in the Andes-Amazon regions of Peru and Bolivia. Megan also developed communication and behavior change strategies for Conservation International’s international field programs. She has worked on projects for the Nature Conservancy’s Brazil program and for World Wildlife Fund’s conservation science programs. Additionally, Megan led ecology and sustainable development study abroad programs in Brazil and Costa Rica for Antioch Education Abroad and International Student Volunteers. Megan has a B.S. in Biology and Environmental Studies from Swarthmore College and a M.S. in Sustainable Development and Conservation Biology from the University of Maryland. Keith Madden joined Andes Amazon Fund as Program Officer in February 2019. Previously, he worked on conservation projects across the Americas with BirdLife International, based at their regional office in Quito, Ecuador. Between his career and studies, Keith lived in Ecuador for more than 4 years. He has also worked with several other NGOs and research institutions focused on conservation, climate change, and sustainable development in Latin America, including Laboratorio de Interculturalidad and the Environmental Law Institute. Keith has a M.S. in Socio-environmental Studies from the Latin American Faculty of Social Sciences (FLACSO Ecuador) and a B.A. in Environmental Studies and International Relations from Brown University. Haley Wiebel joined Andes Amazon Fund in February 2017. Her work in Latin America first began in Nicaragua. There, she was recognized by the U.S. Embassy in Managua for her work as an Associate Editor of Culture and Climate Change in Nicaragua, a bilingual education book adopted by Boston Public Schools and the Nicaraguan Ministry of Education. She has also spent time in Ecuador with the Runa Foundation, helping with Fair Trade development in indigenous communities. Haley enjoys writing about environmental issues in Latin America and has been published by the Council on Hemispheric Affairs and Mongabay. She currently serves as a Climate Reality Leader as a part of former Vice President Al Gore's Climate Reality Project. Haley has a B.A. in International Relations with degree concentrations in Latin America and Environment & Development from Boston University. 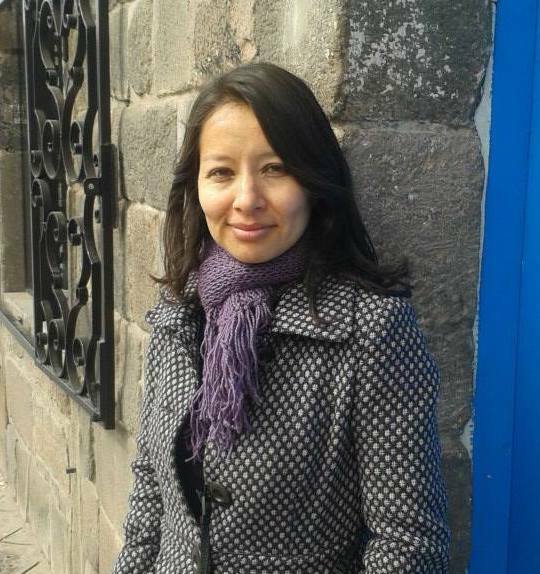 Margarita Medina Müller was born and raised in La Oroya, Peru. For over 10 years, Margarita has worked for NGOs based in Peru that focus on protected area conservation and leadership in indigenous Amazonian communities. She also worked for the Peruvian National Institute of Natural Resources (INRENA) and has consulted for several international government institutions. Margarita has conducted and published research on amphibians and management of tropical forest and has been a research associate at San Marcos Natural History Museum. She studied Biology at Ricardo Palma University in Lima and received a master’s degree in Management and Conservation of Tropical Forest and Biodiversity at the Tropical Agricultural Research and Higher Education Center (CATIE) in Costa Rica.